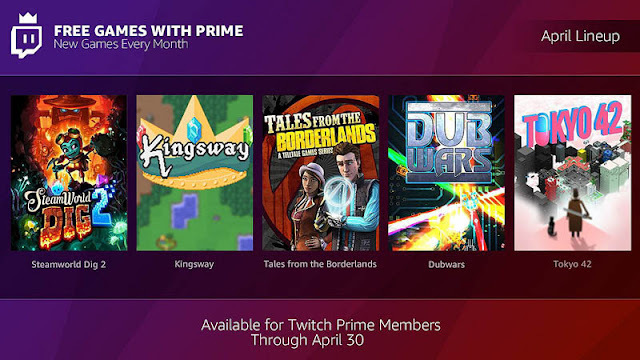 Starting today, we’re bringing you FIVE more free games to keep forever with April’s collection of Free Games with Prime. This collection includes previously released favorites Tales from the Borderlands & Dubwars, 2nd and 3rd place Indie Amplifier winners SteamWorld Dig 2 & Kingsway, and the GTA 1 inspired, cyberpunk-infused Toyko 42. All are available today and yours to keep forever! Be sure to grab them before they disappear at the end of the month.